Hello Everyone. This is my first time here. Yesterday, I got my Apple IIgs from eBay. 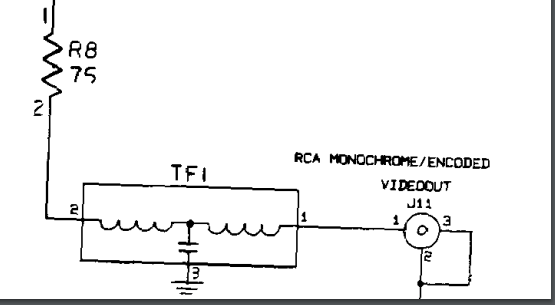 Since I don't have a RGB monitor, I connected the composite port at the back of my IIgs to the rca jack on my LCD monitor. Then powered up my llgs. The llgs powered up, and i heard 2 BEEPS.., but the LCD monitor displayed the message "No signal"
I opened up my llgs, and I spotted that there was a swollen component on the motherboard next to the composite port. There seems no printing on the component. Is it a capacitor? What parts and rating should I get for the replacement? I can't find much information about this on the Internet. 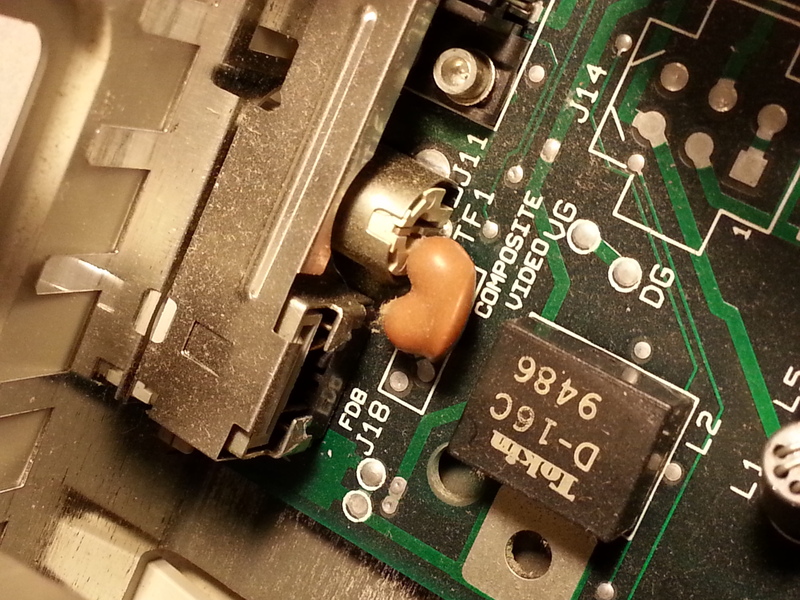 I see you have a rom 01 IIGS, that component is not bad, it is an inductor in the circuit. TF1 However the double beep is not a good sign, that means it dropped in to monitor. do you have any cards (including ram cards) installed in the computer? remove all of them (if you have any) then if i powers up fully put them in one by one. Oh, I see. Thank you very much for your advice. As you said the component (the inductor) is good, I went to connect my composite port to my TV. Yes, I can finally see the picture. I heard the second beep because I forgot to connect the boot device. Everything is working now. Except the composite quality on my TV is poor. Still waiting for the vga converter and scaler to come. Hope to be able to read the text in the end.